Easter had come and gone but a searing afternoon sun refused to concede to autumn at the Mt Alford farm. It was hot. My listless family abandoned any thoughts of tree planting and instead made a picnic lunch, turning leftovers into sandwiches and fishing floating soft drinks from eskies, before climbing into an air-conditioned car to explore the district. The scenic rim region south of Brisbane and west of the Gold Coast takes its name from the jagged, blue peaks of the the Great Dividing Range, the Border Range and Tamborine Mountain. Watching storms form and swirl around these hills is a highlight of any visit. And of all the peaks it’s Mt Barney which casts the most enigmatic shadow. Wedged like an axe-head into the earth, it taunts climbers with promises of glorious views. It seemed the perfect destination for a picnic and an amble. We chose the east side of the mountain, an easy drive along the Boonah-Rathdowney Rd through hills decorated with rusting sheds and quirky mailboxes. The route took us past Coochin homestead, once the beating heart of a 12,000 acre cattle property and host to 1930s British and Hollywood royalty; and Lake Maroon, where speedboats and school camps come to soak up the serenity. We followed the right-turn sign and slowed to a crawl, sharing a one-lane road with cows and dozens of backpacking children, eventually reaching a shady carpark and a dead end. A toilet block, a solitary picnic table and single, smoking barbeque screamed lunchtime. So we tumbled from the car, braving the heat to devour a lunchbox full of sandwiches: chicken, lettuce and avocado; lamb, cheese, tomato and sweet pickles. We washed these down with ginger beer and cold water, followed by fresh strawberries and Easter eggs – more fuel for our mountain climb. Sadly the most we could muster after this feast was a yawn and a languid stroll around base camp. 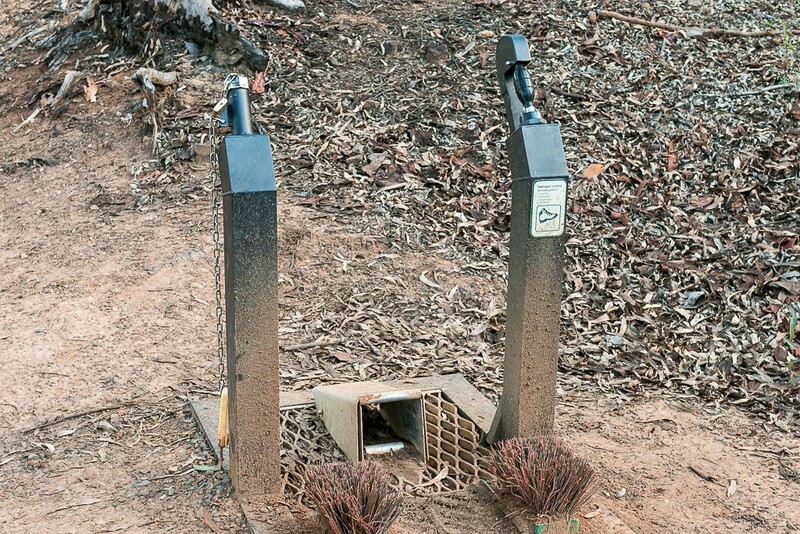 A string of warning signs posted by the Queensland Parks and Wildlife Service crushed any remaining enthusiasm. 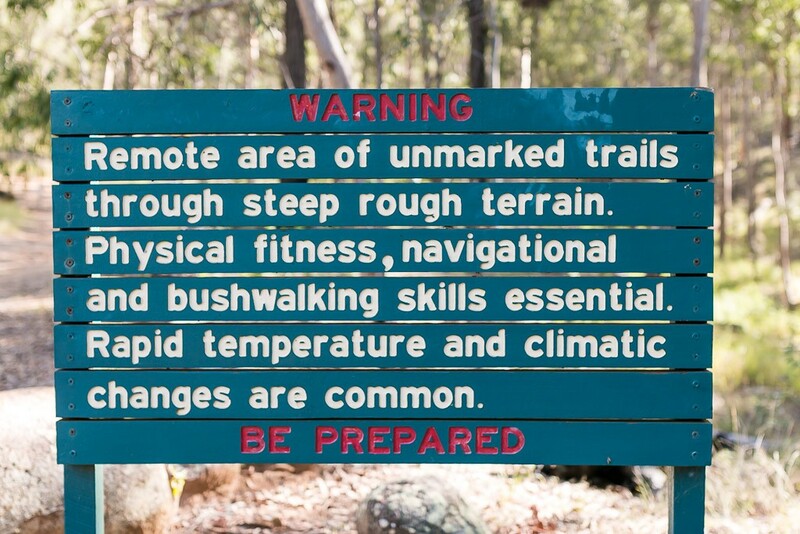 We learned the climb to Mt Barney summit, the second-highest peak in South East Queensland, takes a minimum of eight hours and is for experienced walkers only. There are other, shorter walks and maybe one day when it’s not so hot and we’re not full of chicken sandwiches we’ll tackle one. When we do, we’ll be sure to wash our shoes first. Pathogen hygiene station. Walkers are asked to clean their boots to prevent the spread of disease-causing organisms. We spied a pub, a primary school and a servo in Rathdowney, a sleepy town dominated by an immaculate lawn bowling green. At the general store we stepped over a pile of locally-grown pumpkins to pay for our Golden Gaytimes. Although tempted to learn more about the town’s history at the Rathdowney Information Centre and Historical Museum, we’d finally run out of energy. All that eating and sitting in a car had taken its toll. While we ate too much and moved too little on this afternoon tour of the region, we came away with a definite plan to hike that bad boy Barney one day. 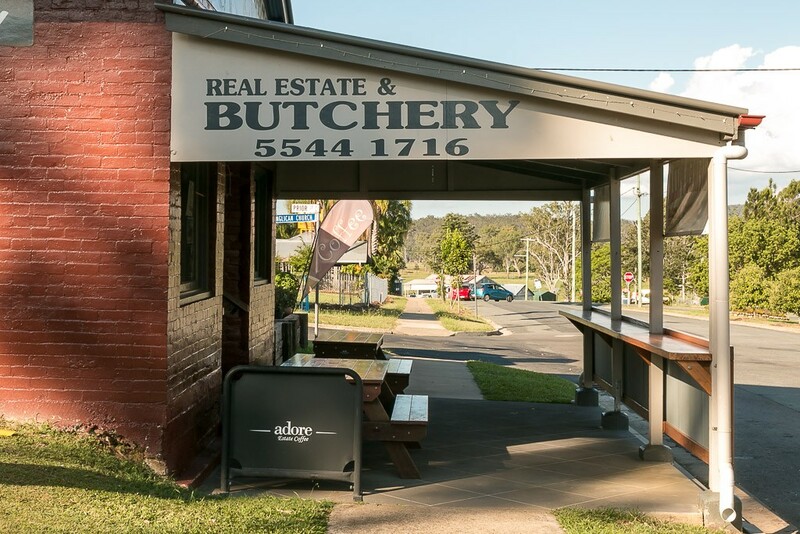 And I was particularly inspired by what might be the ultimate mixed business, a Rathdowney retailer offering coffee, small-goods and accommodation. It might be a good place to eat before my next mountain-climbing adventure.